Adorable Antique Child's Sewing Box, no doubt a much beloved gift from Maman and Papa for a fortunate little girl long ago. 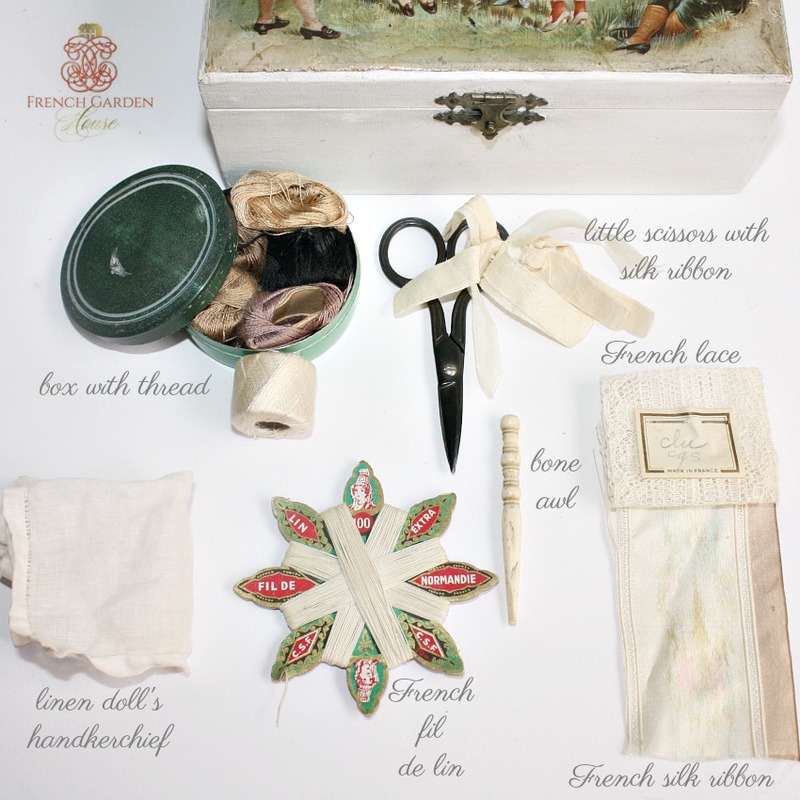 The top has a most beautiful chromolithographed illustration of children dressed in the French court style clothing at play. 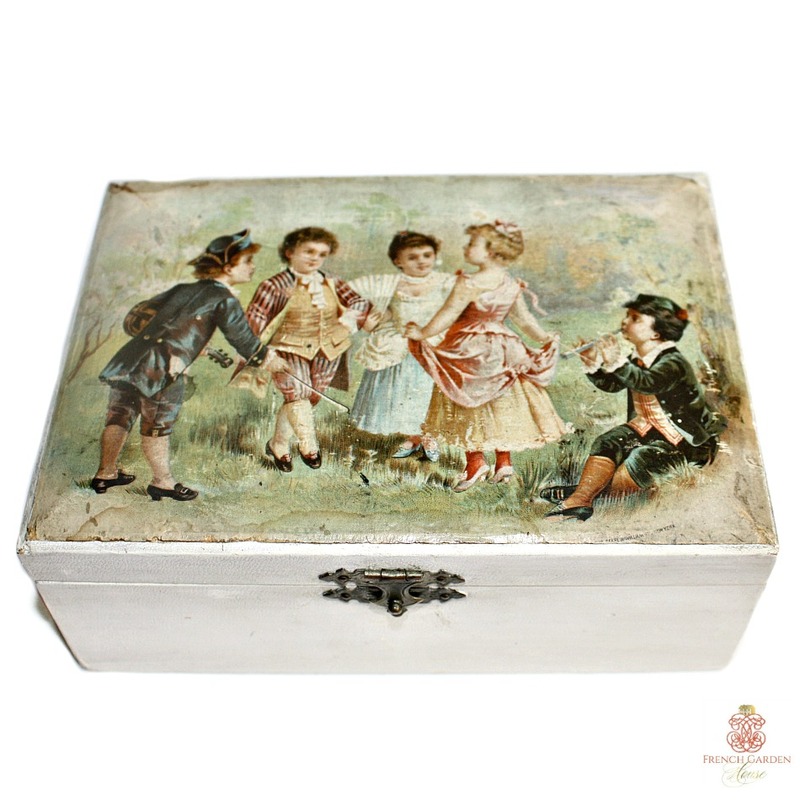 The girls have ribbons in their hair, one carries a fan, the little gentlemen are resplendent in their breeches, tricorn hats and little lace jabots. 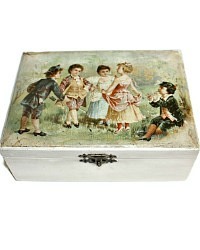 The box has been re-whitened long ago by the owner, the little latch works perfectly! Inside, the surprise of fabric lining with some pale French blue color left, a small scissors tied with silk ribbon, a bone awl, a tiny piece of watered silk ribbon, a length of French lace with the original label, a metal box with rolled thread, a fil-de-lin thread winder, and a tiny doll's handkerchief! 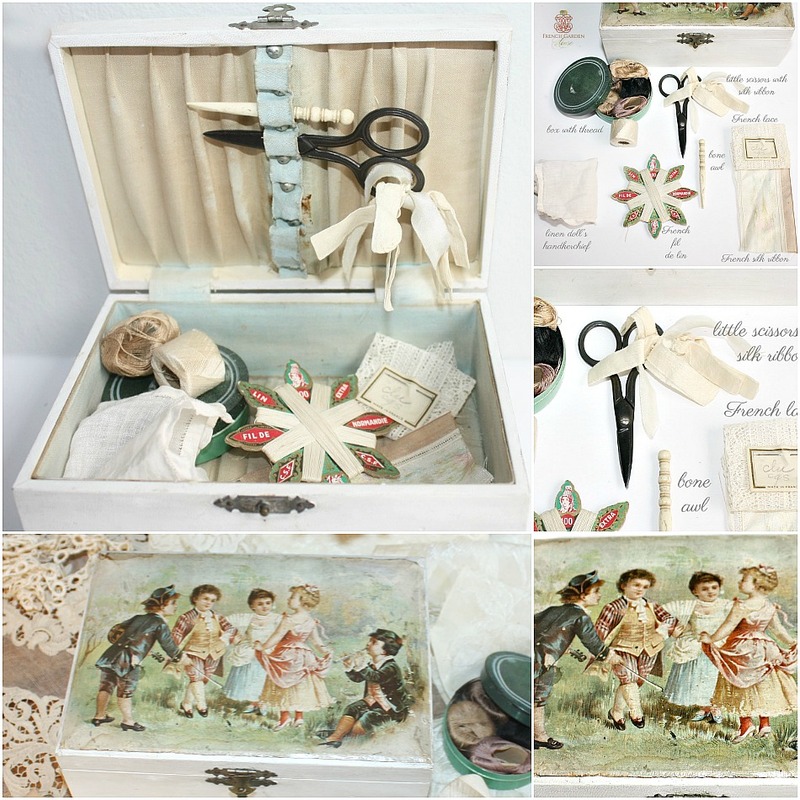 Adorable addition to your antique sewing baskets and accessories, and perfect to display with your antique French and German dolls. Measures 7" x 4-7/8" x 2-3/4"h.